Not Your Ordinary Night Out! Des Moines Limo Service options are surprisingly quite limited. We are central Iowa’s #1 choice when it comes to booking luxury limo transportation in the Des Moines Metro. If you are looking for a limo service in Des Moines, we stand above the rest. With us, you will have access to a fleet of some of the industry's finest modern, meticulously maintained vehicles. Executive sedans, luxury SUVs, stretch limos, stretch SUVs, limo buses, party buses, and motor coaches are all waiting just a quick phone call away. Take your experience to the next level with our lavish Des Moines Limo Services. We are always punctual and can help plan your evening out by making suggestions for your trip and chauffeuring you wherever you want to go. We work for you and always listen to your requests. 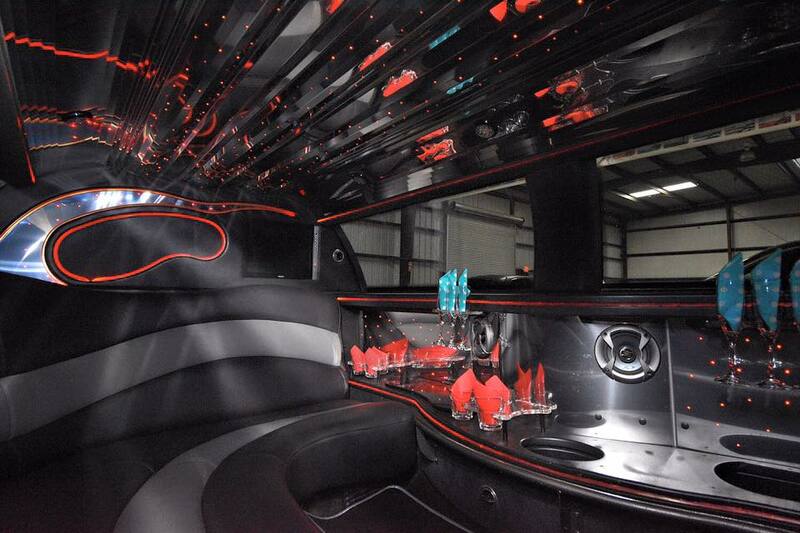 We promise you'll have an unforgettable experience with Des Moines Limos! In our industry, reliability is of utmost importance. You expect the best and that’s exactly what we deliver. Our vehicles are carefully inspected on a continual basis. Don't ever worry about one of our limos in Des Moines breaking down on the side of the road. Scheduled maintenance programs are strictly followed and our fleet is continually upgraded to ensure a premium experience. You won't get stuck with and old, dated limo when you rent a limo in Des Moines with our company. Whether you need a limo right away, or you're just fact-finding for a future function, our staff is here to help. Options for Des Moines limo rental are fairly limited and we understand that many of our customers are especially price sensitive. We provide a customer service experience that is second to none. Our competitive hourly rates are always straightforward and you won't be left in the dark regarding the charge for the limo, tax, and gratuity. Not all limo services in Des Moines are created equal. Our service is second to none. Make sure that you are comparing the entire picture when getting price quotes from other companies. 1. Our Des Moines limos are opulent. We invested in our custom fleet with you in mind. 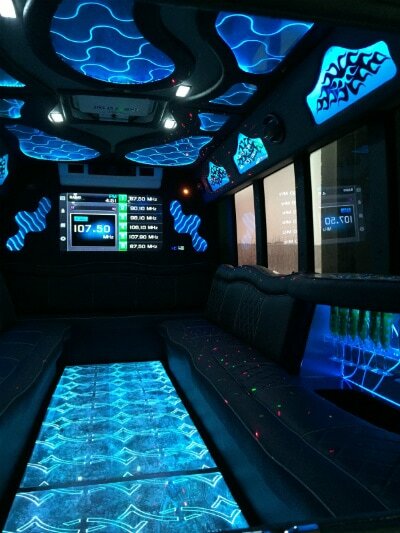 Lavish leather, sensational sound systems, dynamic LCD displays, color changing LED, and fiber optic lighting. 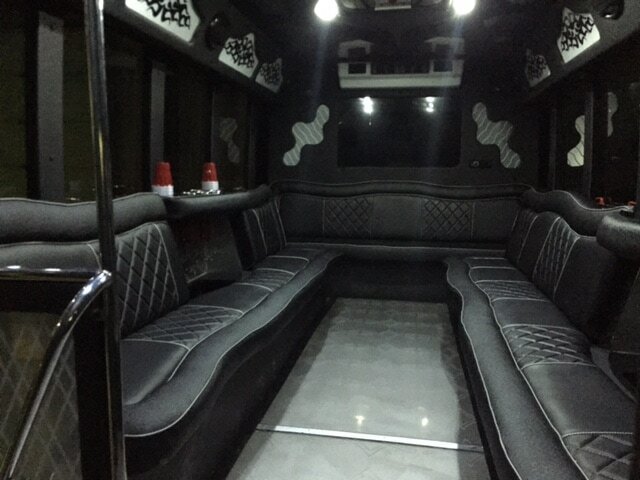 Our limo bus has laser lighting, a table with 4 plush seats and a generous bar area. 2. Your safety is our top priority. Our expert drivers go through a detailed selection process and are continuously evaluated. Background checks and driving records are researched and constantly reviewed. Our professional chauffeurs are always reliable, courteous, and well dressed. 3. Our service sets us apart. Attention to detail, punctuality, dependability, and a passion for exceeding our client’s expectations. When you book with us, you are treated like royalty. 4. We make it EASY. From the moment you pick up the phone or fill out our web form, we handle all the details so you can simply enjoy the ride. Do you hate to wait? We’re on time every time. You'll even be able to check out our GPS location on your cell phone! 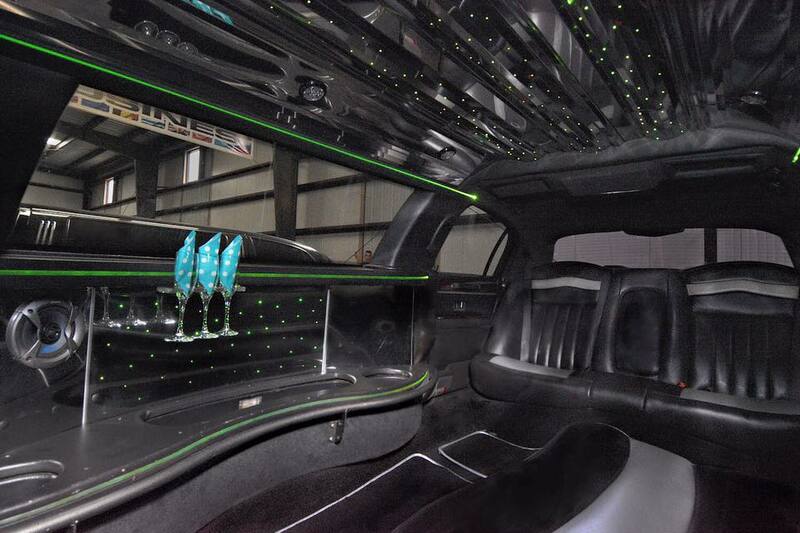 Book with Des Moines Limos for a hassle-free experience. Simply call 515-200-1744 or fill out our web form to experience the best limo service in Des Moines. ​but just about anywhere you want to go. The ultimate reason why our clients keep coming back. We make every effort to become your go-to transportation solution in Des Moines. Our follow up phone calls give us feedback to further tailor our services to your needs. Our vehicles have been hand selected with the client in mind. From the top grain leather interiors of the full fleet, to LED lighting, booming sound systems, and amazing flat panel monitors, no expense was spared. Our exceptional service and luxurious vehicles provide the ultimate experience for you and your group. One that you'll relive and keep coming back for. Our biggest compliment is your referral. In our industry, word of mouth is everything! Competitive limo rates, no hidden fees, and outstanding service! Just about any party you can imagine is better with a limo. 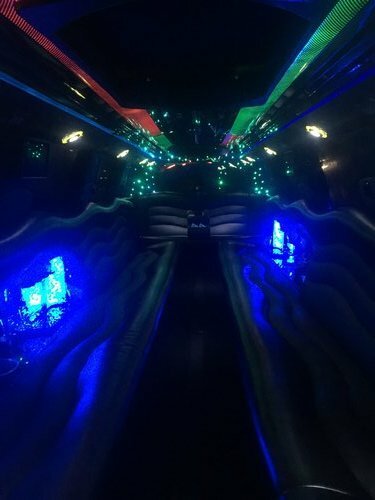 From bachelor and bachelorette parties to dances and nights out on the town, our limos make your night even more special! Tired of the same old birthday plans? 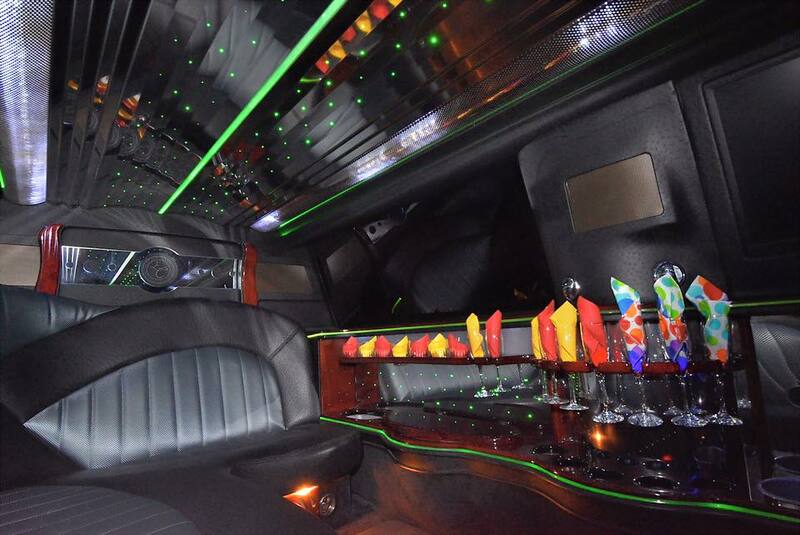 Make it an epic celebration by rolling in one of our unique rides. It's much easier to have fun when the party is on wheels and you're not the one driving! Large wedding parties are no problem for us. Our Hummer limos and limo party bus are big enough for 20 passengers and luxurious enough for your big day! Peace of mind for parents and a sweet ride for students, we've got you both covered. Split the cost with your friends and you'll easily have a night to remember with your closest high school besties! Want to live like a high roller the next time you hit up the casino? Simple, give us a call and we'll get you there and turn heads in the process! Forget parking fees, save time, and remove the stress of travel. With our airport transfers, you'll wonder why you never called us before! See what it's like firsthand to be a VIP, even if it's just for one night. Our drivers will ensure your experience is one you'll be talking about for years to come. Forget coordinating transportation over the evening, sit back and relax (or party), the choice is all yours. ​Life is all about experiences. Arrive in style and hassle free! Enjoy the moment with your company as you ride in luxury without worry! We stop at nothing to make sure your experience is over the top. Our professional drivers work for you and enjoy providing a service you'll never forget! © COPYRIGHT 2019 DM Limos. ALL RIGHTS RESERVED.